Long awaited, our Snippets feature is finally here. Our Hugo users felt especially strong about using Hugo’s powerful Shortcodes feature in Forestry. You can now add HTML snippets to your Markdown Editor whether you’re using Hugo or Jekyll. Moreover, the team has continued to improve the sidebar. We added advanced configuration of content sections so you can control the structure of your content in Forestry. Lastly, the new site/branch indicator makes it easier to always know what you’re working on. You can now add custom HTML snippets by adding a .snippet file to .forestry/snippets/ in your repository. Have a look at our tip snippet and the docs to implement your own. Over the past few weeks settings.yml has become a very powerful feature in Forestry. 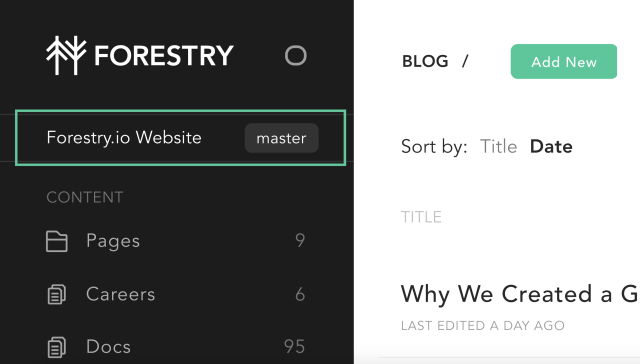 Read through Content Sections to learn how to make the Forestry content manager truly your own. Curious how we use it? 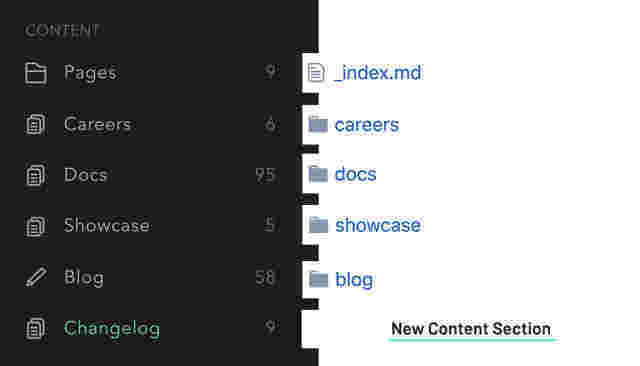 We pulled out our Changelog files as a separate Content Section to avoid confusing them with our Front Matter Template docs. Working on different sites with multiple branches that all live in Forestry? They just got a lot easier to navigate. Each site now features the site name and branch in the top of your sidebar. No more clicking around, it’s now all out in the open.